Well this is the week where millions and millions of dollars will be spent on fresh roses, boxes of rich chocolates, sparkling diamond jewelry, and expensive fancy dinners all in the name of undying love. Ok, let me reword that. This Thursday is Valentines Day – a day where we guys had better have our wives or girlfriends something nice or the following few weeks will not be very pleasant! 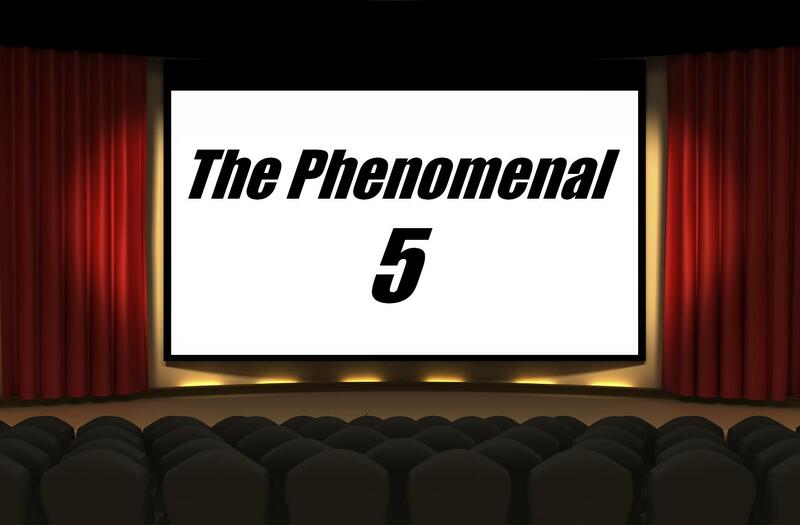 In the spirit of this wallet-crushing holiday I thought it would be good to focus this week’s Phenomenal 5 on love. So today I’m listing 5 Phenomenal Movie Romances. These are classic onscreen romances that are equally memorable and romantic. Now with so many big screen romances gracing cinema for all these years I would be a real goof to call this the definitive list. But I have no problems calling these five movie romances absolutely phenomenal. While the first half of James Cameron’s epic sized blockbuster “Titanic” wasn’t nearly as good as the second half, it did set in motion a romance that gave the tearjerker finale some huge emotional pop. 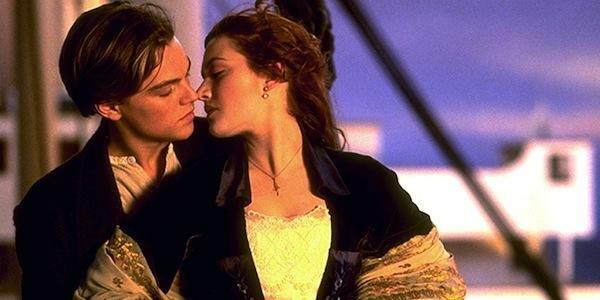 Jack (Leonardo DiCaprio) is a poor drifter and Rose (Kate Winslet) is a member of the high society upper class. The two cross paths on the maiden voyage of the British luxury liner Titanic. Obviously they come from opposite ends of the social order but you know the old saying – “opposites attract” yadda yadda yadda. A deep and forbidden love develops between them and Rose’s family are none too happy about it. But all of that takes a back seat when the Titanic strikes an iceberg and begins to sink. At no time does their love shine brighter than in their struggle to survive and you can’t help but be moved by it. No list like this would be complete without including Jesse (Ethan Hawke) and Celine (Julie Delpy). These two young lovers first met on a train from Budapest to Vienna in “Before Sunrise”. Jesse convinces Celine to skip her connecting train to Paris and spend the night walking around Vienna with him. A romantic spark is lit and the two seem like true soul mates but at the end of the film they head their separate ways. They cross paths 10 years later in Paris in “Before Sunset” and their lives have taken on many new changes. But as they spend the day walking and talking we quickly learn that spark never went out. It’s such a wonderful but complicated romance and we’ll get to see them 10 years later in this year’s “Before Midnight”. I can’t wait. Underneath the surface of frontier violence and costly war lies an incredible romance that plays a big part in “The Last of the Mohicans”. Cora (Madelenie Stowe) is an English woman who has arrived in the States during The French and Indian War. She’s rescued by Nathaniel (Daniel Day-Lewis) and his adopted father and brother after a Huron war party tries to kill her. Through Nathaniel she learns a different perspective of the war and how it effects the locals. Even more important to the story, the two develop a love for one another that carries them through blood, battlefields, and tragedy. The way this love story is told through this dangerous and violent environment is beautiful and “The Last of the Mohicans” remains one of my all time favorite films. 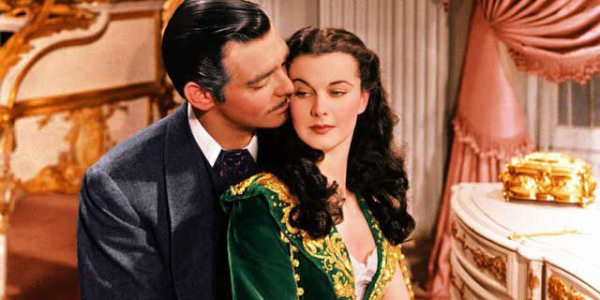 There may not be a more difficult and sometimes volatile relationship in film than the one shared between Scarlett O’Hara (Vivien Leigh) and Rhett Butler (Clark Gable). Their fascinating romance takes place during the outbreak of the Civil War. Scarlett is a fiery but spoiled daughter of a plantation owner and Rhett is just the one to tame her…or is he? Rhett is a confident and brash fellow who makes a play for Scarlett. But he’s not her puppet which often times infuriates her. But through their on again/off again relationship there is evidence of a truly passionate love between them. These two take us on a roller coaster ride that’s anything but a soft and tender love story. But it’s without a doubt one of the most mesmerizing romances to ever grace the movies. My favorite movie of all time also happens to feature what I think is the greatest romance in movie history. Humphrey Bogart plays Rick, a club owner in Casablanca during World War 2. His world is turned upside down when Ilsa (played by the stunningly beautiful Ingrid Bergman) reenters his life. We learn the two fell madly in love after first meeting in Paris but circumstances tore them apart. From the first moment their eyes meet again, we know that neither’s feelings have changed. But there are several obstacles keeping them from being together and watching what seems to be an ill-fated romance is simply great cinema. Bogart and Bergman have incredible chemistry and you never doubt their character’s love for each other. This is the quintessential romance in what’s a truly flawless movie. So those are my five phenomenal movie romances. Now I want to hear your thoughts. What did I miss or where did I go wrong. Take time to comment and share you favorite movie romance. This entry was posted in The Phenomenal 5 and tagged before sunrise, before sunset, casablanca, clark gable, daniel day-lewis, ethan hawke, gone with the wind, humphrey bogart, ingrid bergman, james cameron, julie delpy, kate winslet, leonardo dicaprio, madeleine stowe, movies, the last of the mohicans, titanic, top 5, vivien leigh. Bookmark the permalink. Glad to see some appreciation for The Last of the Mohicans. I love that movie as well but I know a couple of people who really dislike it for some reason. Thanks for commenting. I LOVE The Last of the Mohicans. It’s a true favorite of fine. Wonderful story, beautiful cinematography, and possibly my favorite score of all time. There’s a lot of Rom Coms out there and some of them are good. 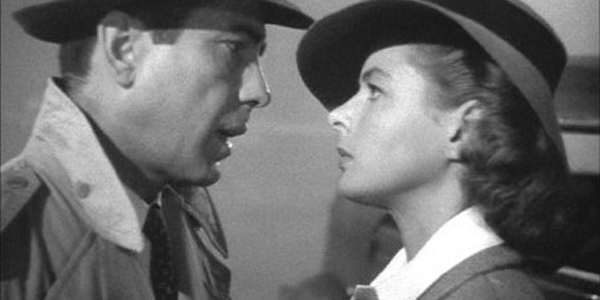 Complicated love stories are more interesting like Hitchcock’s, Notorious. Grant and Bergman. Great chemistry. I also love, Ghost. But my favorite love story is (2005) Knightley’s Pride and Prejudice…. You know I have never seen Pride & Prejudice. My favorite romantic comedy is The Philadelphia Story but its love story is a little complicated, lol! Oh and I love the twists Hitchcock puts on his romances as well. What’s up though, no Rocky and Adrian? Cmon man! Yo Adrian!! Thanks brutha! No bromances were in the mix. But I did give some real consideration to King Kong and Fay Wray!!! Good list, If I were to do one I would strongly consider Brokeback Mountain – but then again perhaps that’s only because I watched it the other day. There’s certainly a hell of a lot of choice out there! Thanks! Tons of choices. It was pretty hard to narrow this one down. Before Sunrise & Before Sunset…great inclusions! Loved these films and a great testament to dialogue driven film. Aren’t they great movies! I had to include them. For me their’s is the most realistic and authentic romance of all on this list. No way I could leave them off. I also love the quirky romance of Annie Hall. You know I’m definitely in the minority on Annie Hall. I thought it was a very “ok” movie. I know I’m completely off base but I found it underwhelming. I’ve been scalded for that opinion! LOL! I know!!! Even my own family turned on me because of it. LOL! These are great romances, but pretty much half of them don’t last lol. Either way, your inclusion of Jesse and Celine make it a worthwhile list lol. You make a good point. None of them really last. But maybe that says something about my warped heart. lol! “Near…far…whereeeeever you are”, c’mon sing it! Love your #1 and 4 picks. Good list. Hey thanks a lot. Casablanca is so special to me. I love everything about it. Ingrid is gorgeous there and Bogie is the essence of cool. Great cinema! I love that movie as well. I own the script, a book about its production, and a framed poster. Wahoo!!! I LOVE all five of these, phenomenal is right Keith. What a wonderful and romantic way to celebrate V-day. Great mix of classics and contemporary films, though I think all five are quite iconic in their own right. Thank you, thank you! I have a soft spot for each of these movies. Casablanca is my favorite film of all time. The Last of the Mohicans is another absolute favorite of mine. Gone with the Wind may have the most fascinating romance on the list and the two “Before” films may have the most authentic romance on the list. And then there’s Titanic which just flat out works. lol! I’ve retweeted this awesome list. Can’t go wrong w/ any of these really. LOL. It had to be there didn’t it! Thanks! This was a really fun list to do. There’s such a huge pool to choose from and you listed some good ones.